It turns out I’m not alone in the universe. There are other people writing about superheroes. Golly, who knew? A bunch of us have gotten together a super discount weekend sale just in time for solidarity with a certain comic book-inspired convention on the west coast. We name no names, but you do know what I’m talking about, right? Anyway…Temporary Superheroine is proudly taking part in this special sale. 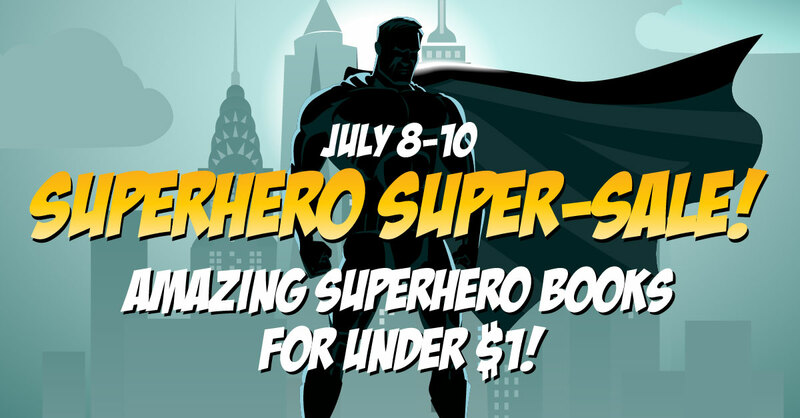 Check out all the cool superhero books by clicking the words Superhero Super-Sale!